IIC(The Industrial Internet Consortium) and IVI(Industrial Value Chain Initiative) established for the realization of Industrial IoT (IIoT) have signed a memorandum of understanding (MoU) at Hannover City in Germany in 2017. Based on this agreementthe second IIC & IVI joint use case sharing seminar was held in Japan. The event attracted over 300 attendees not only members of IIC and IVI, but also non-members. 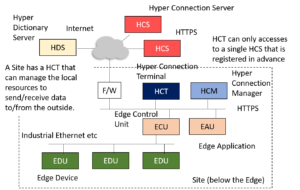 We shared activity contents of the testbed and use cases from IIC and IVI. On April 26, 2017, Industrial Internet Consortium (IIC) and Industrial Valuechain Initiative (IVI) have signed a memorandum of understanding (MoU) at Hannover City in Germany. Based on this agreement, we have decided to hold a 2nd time joint workshop to share use case information with IIC and IVI. Not only IIC & IVI members also non-members can participate in this event. Please send us your name, affiliation, name, e-mail address by e-mail to the following e-mail address. IVI is going to participate in the Hannover Messe 2018. Please visit our booth at Hall 7, Stand A31. In addition to IVI activities, contents of the newly published reference architecture, IVRA-Next, will be also exhibited. You can download IVRA-Next from here. 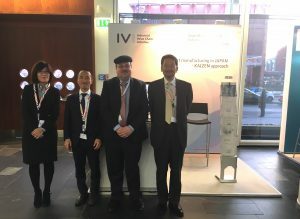 Please also visit presentations by Prof. Nishioka (IVI President) at two events in Hannover Messe. The second version of IVI’s reference architecture, IVRA-Next, has been published. 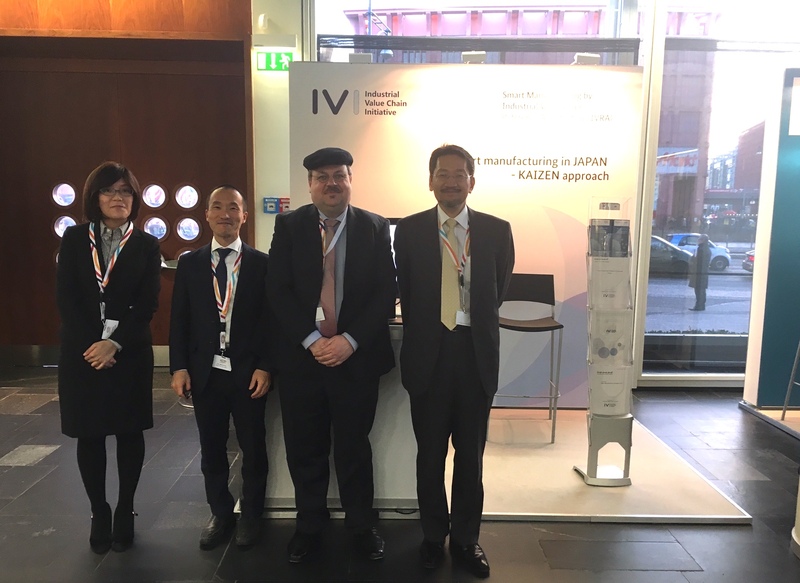 At Hannover Messe 2018, you can hear a presentation by Prof. Nishioka (IVI President) on IVRA-Next. The Industrial Internet Consortium ® (IIC™), the world’s leading organization transforming business and society by accelerating the Industrial Internet of Things (IIoT), and the Industrial Value Chain Initiative (IVI), the forum of smart manufacturing for connected industries based in Japan, hosted their first joint workshop on June 8, 2017. Since each liaison officer on both sides was from the same company (Fujitsu). 220 IIC and IVI members participated and IVI took the first step to the global stage. 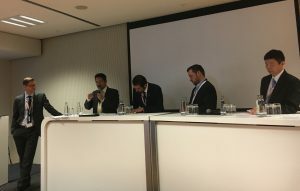 On March 16th and 17th, IVI participated in the G20 conference in Berlin which was hosted by the German Federal Ministry for Economic Affairs and Energy (BMWi) in its panel discussion and booth exhibition. Different stakeholders in the area of manufacturing digitisation including policymakers, academics, specialists in industry and initiatives from G20 countries were invited to discuss on the theme. The IVI President, Prof. Nishioka, joined a panel discussion entitled “Data sovereignty in global value networks” as a panelist. The moderator, Prof. Boris Otto from Fraunhofer ISST, and the panelists from China, Mexico and Japan shared information on national/regional activities and prerequisite for data sovereignty, and the focus of the discussion was brought to challenges such as contradiction between the needs of sharing and controlling data and international standardization as one of its possible solutions. The IVI also took part in the exhibition where 16 initiatives from the G20 countries opened booths. The achievement of 45 scenario based use cases from the first and second years as well as the Kaizen approach applied in such activities caught visitors’ attention.